Art is seemingly everywhere in Istanbul from the sing song of the call out of various street sellers to the remarkable style of what various people are wearing and of course the incredible architecture and traditional tile work all around. 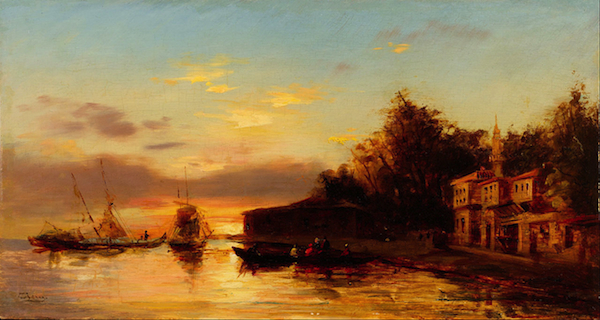 The experience of Istanbul is quintessentially an artistic experience. Art houses are plentiful and art museums are internationally celebrated. The bank Yapi Kredi has a cultural centre and arts’ book publishing house. The exhibitions are eclectic and impressive. The gallery is centrally located on Istiklal Caddisi in a beautifully modern building and has two rooms displaying archaeology, photographs and contemporary art. Arter - Space For Art Opened in 2010 and initiated by the Vehbi Koç Foundation (VKF) this is a non-profit centre that was set up as an exhibition space for specifically contemporary art. 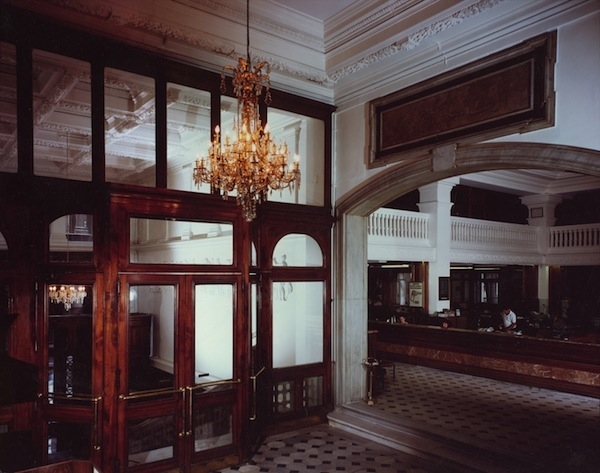 The gallery is in a restored mansion also located in the city's busiest shopping street, Istiklal Caddesi. The gallery displays Turkish art that is site-specific and is inclusive of performances. This is not a traditional art space as it is in a restored mansion from the 1800's nevertheless this is not a drawback at all in terms of the space, it actually brings a lot of charm and the architecture doesn't recede like a lot of other spaces in relation to the art experience. The Vehbi Koç Foundation was formed by the Koc family and they are incredibly active even developing the Koç galleries in the Metropolitan Museum of Art in New York City, which were renovated with the support from the Koç Foundation: these specific galleries in The Met contain work from the Ottoman period including carpets, textiles and glass works. The collector Ömer Koç is the head of the family’s foundation now and he is a collector of contemporary art himself. The Vehbi Koç Foundation started in 1969 and was the first private Turkish trust. It began as a grant making institution then it became a foundation developing three areas: education, healthcare, arts and culture. The foundation’s first establishment was the Sadberk Hanim Museum, the first private Turkish museum, with a collection of Turkish and Islamic artwork as well as an ancient archaeological collection of various Anatolian civilizations. The museum has remarkable tiles and ceramics collection - kutahya. Pera Museum is an art museum in the Tepebaşı quarter of the Beyoğlu district in Istanbul. Founded in 2005, Pera is a private museum started by the Suna and İnan Kıraç Foundation. The focus of the museum is particularly on Orientalism in 19th-century art, however the museum has film screenings that are very art house and they also show eclectic films by extraordinary filmmakers such as Michelangelo Antonioni and Otto Preminger. The museum has a huge interest in education and has many educational programs. Currently the museum is setting an exhibition about the seaside - just in time for summer - "Istanbul's Seaside Leisure Nostalgia from Sea Baths to Beach" and is on view through August 26. This exhibition has an accompanying film program entitled "Films on the Beach"
Pera Museum’s collections can also be accessed on Google Arts & Culture. Google Cultural Institute is a collaborative project between Google and art partners from 70 countries. Though it's not exactly a museum or gallery but an educational point that museums and galleries focus on in terms of workshops the Turkish Glass School is a special opportunity. People, including children, can learn glass blowing, flame working, fused glass, kiln casting and more in this old glass factory. The facilities are great, with a cafeteria, swimming pool and picnic area right near the river. SALT Beyoğlu recently reopened after a renovation.It has film screenings called 'walk-in' cinema or 'Thursday Cinema' plus a research centre, bookstore, e-publications and also web projects for online interactions. SALT Beyoğlu’s building is on İstiklal Caddesi the space has been reconstructed in terms of its forum, a new work space, and an interior garden and the bookstore. SALT started out as a school that housed the founder Vasif Kortun’s personal library, later evolving into one of Istanbul’s most important spaces for contemporary art. Founded in 2004 Istanbul Modern is internationally recognised. The museum has moved to a temporary space while a new building is being constructed. The temporary space still has the museum’s collection, photography gallery, educational and social programs, the library, a cinema space, and store. Cinema is only presented on the weekends. The present exhibition is Anthony Cragg's "Human Nature". The exhibition will be on view between May 23 – November 11, 2018. This specific exhibition is sponsored by Ferko, known for supporting culture and the arts, and the British Consulate General in Istanbul and the British Council. Interestingly the museum also has an online store. Art is an access point to any culture and an extraordinary experience to witness in terms of beauty, knowledge and consciousness raising - if only through the raw experience of beauty. Engaging spaces that hold art can support many reflections of beauty within life. Enjoy!